944 people read this post. The Prophet Sallallaahu Alayhi Wa Sallam established the knots of Islam upon the earth. For thirteen years, he endured many hardships so that the earth could be shaded by ruling by the Book of Allah (swt), the Islamic State. For thirteen centuries thence, the Muslims lived by this noble rule. In this period, they enjoyed Allah’s (swt) pleasure, for they ruled by that which pleased Him (swt). In the above Hadith, the Prophet Sallallaahu Alayhi Wa Sallam spoke of how this would not last. Throughout the centuries of Islamic rule, Muslims who read this Hadith shuddered at the mere thought of the loss of the Islamic State. The Khilafah was abolished on 3rd March 1924. In its place today are over fifty secular states. Their ruling is by other than the Book of Allah (swt). The advocates of secularism would have us feeling no remorse at this huge loss. Secularists perceived it as a step forward; the destruction of the Islamic rule was a sign of ‘progress’. They are even told to idolise the man who was so instrumental in its destruction, Mustafa Kemal. To the extent that ‘TIME Magazine’ has been inundated by requests for him as a nominee for ‘Man of the Century’. The abolition of the Khilafah has been far from a step forwards. Its demise inflicted wounds, from which we are still scarred today. The events surrounding its abolition revealed many vital issues that affect us. It was not a freak occurrence or an accident. It was a culmination of decades of work by the colonial powers, with Mustafa Kemal merely pulling the trigger. Here follows an account. At the end of the 19th Century, Prime Minister Disraeli, held a copy of the Book of Allah (swt) in the British Parliament. He stated that Muslims could never be defeated until it was taken from them. Today the Qur’an is still present amongst us; it is recited in our houses and mosques. What Disraeli meant specifically was the ruling and living by Islam. And with good reason, for Muhammad Sallallaahu Alayhi Wa Sallam said, “The Imam is a shield, you fight from behind him and are protected by him” The European powers endured the consequences of this Hadith. The Khilafah ably protected the Islamic Lands from the designs of the kuffar. These designs remained unfulfilled for centuries. Disraeli and Bismarck conferred in Berlin (1887) to divide the Islamic Lands. Plans reiterated in the Sykes-Picot (British-French) secret agreement of 1916. They had already occupied many of the Islamic Lands. However, they still harboured the same fears that filled the hearts of the original Crusaders. They succeeded in occupying Islamic Lands, although it was short-lived. Within years, they were completely routed as Khaleefah Nur-ud-Deen launched a jihad against them. The defeat of the Crusaders showed that while the Khilafah existed, the latent power within the Muslims could always be unleashed. Therefore, Britain demanded that Muslims abolish the Khilafah at the Lausanne conference (20th November 1922 to 4th February 1923). Also previously, in 1915 the Russian ambassador to Britain sent a message back to St Petersburg: “The Italian Government supports the Russian Government’s opinion. The Italian government wholeheartedly supports wresting the Khilafah from the Turks and abolishing it if necessary”. Their ground work was laid long before when the Europeans sponsored missionary activity within the Khilafah. Missionary centres sprang up around, and even within the borders of the decaying Islamic State such as those in Malta (end of 16th Century), ash-Sham (1725) and Beirut (1820). Their objective was not to convert Muslims to Christianity; this idea was as ludicrous as it was unlikely. 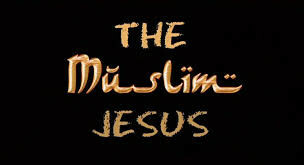 Rather it was to dupe Muslims into adopting Islam as the Europeans had adopted Christianity. Specifically, they wished that Muslims followed their example, by having a secular Reformation. That is that the Muslims would separate the Deen from the State. They formed many associations and parties for this purpose. Through this and other means, they recruited Muslims to their secular crusade. Now all that remained was the implementation of the secular vision. Time proved that this was not to be an easy task. By the early 1920’s the ‘Union and Progress’ and the ‘Young Turks’ manoeuvred towards implementation of secularism. Their boldest initiative was a proposal for a secular constitution, presented to the National Assembly. This evoked an angry response. Kathim Qara Bakir, the ‘Uthmani Khilafah General, said, “I have vowed to prevent any steps undertaken with the aim of transforming the country from a Sultanate to a republic, no matter how dear the sacrifice were.” A leading secularist, Mustafa Kemal retorted, “The constitution drafted by the National Assembly is not final…There is nothing in these laws to suggest that the sacred Sultanate and the sacred Khilafah would be undermined, or to suggest an incitement towards adopting a republican ruling system. Those who imagine that we wish to destroy the Sultanate and substitute the Sultanic rule by the republican rule are in fact living in another planet than the one we live in, that is the planet of fiction and imagination.” History has shown how empty these words were. Their ensuing actions showed that they wished to bring this planet from the realm of fiction and imagination, into bitter reality. The real motive for this apparent climb-down was that they realised Bakir was well respected for his sound reasoning by the Ummah. His views represented the view of the Ummah of the time. Indeed, the Ummah was aware that Islam dealt with all life’s affairs, including that of the government. They held no concept of a secular government i.e. a government that looked outside of Islam for its form and detail. This was all but spelled out to the secularists when they later showed their true colours. In the midst of debate in the National Assembly, Kemal suggested the separation between the Sultanate and the Khilafah. A foreign affairs committee was called upon to examine this matter the following day. It included in its ranks Islamic scholars. The committee spent hours studying the issue of separating the Sultanate from the Khilafah. The committee rejected the proposal unanimously, citing texts from the Qur’an and the Sunnah forbidding a secular government. 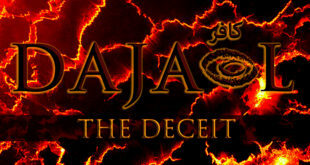 The secularists were up against the word of Allah (swt), and an Ummah that held them sacred. Thus a conflict between the Ummah and the secularists ensued. The following quotes and events demonstrate the intensity of that conflict. One can clearly see that the Ummah of the time proved to be a worthy example, for the present generation of Muslims that face secular rule in the Islamic Lands. November 1922. “The Sultanate must be separated from the Khilafah and abolished. This will happen whether you agree to it or not. All there is to it is that some of your heads will roll in the process.” Mustafa Kemal’s response to hearing the rejection by the foreign affairs committee. The National Assembly rejected the proposal, despite the fact that Mustafa Kemal’s supporters rested their hands on pistols. Yet, the speaker announced that the Assembly had endorsed the proposal by a general consensus. Upon this a number of deputies jumped on top of their seats protesting and shouting, “This is not true, we did not agree to this.’ Kemal dissolved the National Assembly and held fresh elections, hoping to acquire a majority. However, this new Assembly was also against secularism. 29th October 1923. Mustafa Kemal addressed the National Assembly, “…I have decided that Turkey should become a republic with an elected president.” When the voting took place, fewer than 40% of the deputies took part. However, the decree had been prepared beforehand by the secularists. It declared that there was approval for the formation of a secular Turkish Republic, with Kemal as its first President. The masses turned against the secular proposals. The word was spread everywhere that the new rulers of Ankara were kuffaar. Many prominent orators started to attack Mustafa Kemal. Leaflets and caricatures which attacked him fiercely were distributed. Many of the deputies and prominent figures left Ankara and headed towards Istanbul, to rally around the Khaleefah Abdul-Majid. Kemal then gauged opinion amongst the army. He attended the annual military maneuvers near Izmir and spent days reviewing the situation, with Fawzi and Ismat, probing the low ranking officers and soldiers. He found a strong opposition to secularism. The Secularists then resorted to brutality. The National Assembly endorsed a bill declaring that any opposition to the republic and any inclination towards the deposed Sultan, would be considered an act of treason, punishable by death. Kemal ordered the assassination of one of the staunchest critiques of secularism, as he was returning from the National Assembly. When yet another deputy delivered a speech in support of the Khaleefah, Kemal threatened him with hanging. 1st March 1924. The Greater National Assembly convened. Mustafa Kemal demanded the abolition of the Khilafah. Again there was fierce opposition. 2nd March 1924. The National Assembly convened once more in order to review this decree; the session went on all night until 6.30 a.m. Again nothing was resolved. 3rd March 1924. In spite of the opposition from the Assembly and the Ummah, the abolition of the Khilafah was announced, and with it the separation of the deen from the state. The Prophet said, “Your enemies will eat of you as guests eat at a dinner.” With the Khilafah destroyed, indeed the enemies feasted without any fear of reprisal. As now Britain’s condition was fulfilled, Lausanne was reconvened on 23rd April 1924. The Lausanne Treaty was signed on 24th July 1924. The British Foreign Secretary, Curzon announced in the House of Commons, “The point at issue is that Turkey has been destroyed and shall never rise again, because we have destroyed her spiritual power: the Khilafah and Islam.” The foreign powers continued dividing up the Islamic Lands according to the Sykes-Picot agreement and the Berlin Conference. Unlike the Crusaders of the past, these modern day secular crusaders had no Khilafah to confront them. Within years of the Khilafah’s abolition, they were able to extend their colonial hegemony over the resources of the Islamic Lands. Within decades, Britain was able to extend their support of the Zionists, culminating in the formation of Israel (May, 1948). To this day the Islamic Lands are divided and fall under the shadow of secular rule. Then…In Islam, currency is not a commodity that rises or falls with market value. For the unit of currency is linked to Gold and Silver. This resulted in general economic stability throughout the Khilafah. The Khaleefah ‘Umar Ibn Abdul Aziz at one stage could not find a poor person to give Zakat to during his rule. Now…Financial turmoil has ravaged the economies causing the Malaysian Ringit to devalue by a staggering 40% against the Dollar. Indonesia is plagued by the same problem leading to outbreaks of violence at rising prices as people realised they could not afford the bare essentials. Then…Madinah- Famine strikes after a drought. The Khaleefah ‘Umar sends instruction to the Wali of Egypt, Amr ibn al Aas. His response, “Let there be a train of camels laden with food such that when the first camel arrives in Madinah the last is leaving (Egypt).” Clearly showing the self sufficiency of the Ummah under the Khilafah State where turning to the kuffar for aid was never considered a necessary option. Now…February- Earthquake kills 4000 people in Takhar province of Afghanistan. Today thousands more are suffering in sub zero temperatures – without shelter, warmth, medical supplies or clean water. Muslims dig deep into their own pockets or hold up their hands for foreign hand outs. Then…The Europeans used to travel to study at the world’s most prestigious education academies, all in the Islamic Lands.The oldest university in the world is Al Azhar established in Cairo in 970 AD. The Qurawiyin university of Fez in Morocco was established soon afterwards. In addition to which Muslims had purpose built libraries, housing millions of books at a time, such as Dar Al Hikma built in 815 AD and others in all major Muslim cities like Damascus, Shiraz, Samarkand, Bukhara and Cordoba. Now…Today, the rulers themselves escape to be ‘educated’ in the ways of the West: King Hussein of Jordan – Harrow School / Sandhurst Military Academy. Muammar Ghadaffi of Libya – Sandhurst Military Academy. Benazir Bhutto of Pakistan – Oxford &Harvard University. Then… “…Allah has made me a Prophet and sent me for the entire world, in order that I may infuse the fear of Allah in every living person. Accept Islam and be secure. If you refuse the sins of all the Zorastrians shall be your responsibility …” Mohammed Sallallaahu Alayhi Wa Sallam, as head of the Islamic State, demands the Emperor Khusro Pervez of Persia to submit to Islam. Then…The Christians inform ‘Umar bin al-Khattab (ra) that they pray the Muslims will emerge victorious over the Romans so that they can continue to live under the Islamic Rule. 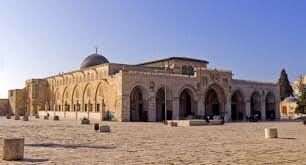 Muslims, Christians and Jews live in security for centuries. Now…Israeli secular rule leads to the expulsion and killing of Muslims for almost half a century. 1920 British Mandates to Iraq, Transjordan and Palestine. French Mandate to Lebanon and Syria. 1921 ‘Abdullah recognised as Amir of Transjordan, Faisal made King of Iraq. 1924 Abolition of the Khilafah. 1926 Ibn Sa’ud proclaimed King of Hijaz. 1927 British recognition of independent Ibn Sa’ud’s Kingdom. 1930 Britain terminates Mandate in Iraq and sponsors Iraq’s membership of League of Nations. 1932 Ibn Sa’ud’s Kingdom named Saudi Arabia. 1933 King Faisal of Iraq dies and is replaced by his son Ghazi. 1934 War between Saudi Arabia and Yemen, ended by British mediation with border changes favouring Saudi Arabia. 1936 Beginning of Arab revolt in Palestine. 1937 Peel Commission proposes partition in Palestine. 1939 Anglo-Turkish Treaty. White Paper on Palestine. 1940 Rashid Ali government formed in Iraq. 1941 British military intervention in Iraq, overthrowing Rashid Ali’s government. 1942 British impose Wafd Party government on King Faruk. Jews demand Jewish state. 1945 Arab League pact signed in Cairo. 1948 Israeli occupation of Islamic Lands begins. 2009 Islamic Lands presently divided into fifty-five secular nations. No doubt America holds this with conviction. The return of the Khilafah will signal the end of America’s own designs upon the Islamic Lands particularly Palestine, Iraq and Afghanistan. 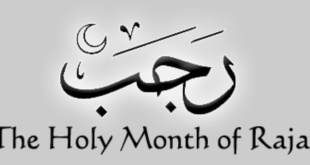 But we must realize that the biggest obstacle is not US nor Israel in liberating our Islamic lands, but the Kafir Regimes in Muslim world whose names are Muslims but in reality are worse than the enemies of Islam because they guise as Muslims and serve and protect the interest of the enemies of Islam with the blood and wealth of Muslims. Next I work 180Km from home, Am I a Musafir? 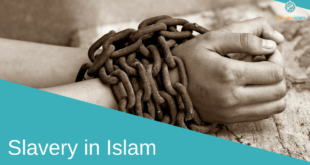 Is slavery still allowed in Islam in this day and age?